BelarusDigest > All > When Will The Madness with Registration of Application Forms in the Polish Embassy End? When Will The Madness with Registration of Application Forms in the Polish Embassy End? "Tell me, what is the system of getting registered at the [Polish] consulate? I went there on 10 September, it said "closed until 30/09". I think, okay, they'll open closer to the end of October, and I'll get registered… I go there – jeez! It's now closed until 31/10! I don't want to miss the next wave… What is their system of work?”, a gullible and naive individual who has been trying for some time now to register his application form at the website of the Polish embassy writes on one of Belarusian internet forums. Do you think he will be able to? The individual is likely to miss the wave again. These waves have long been controlled by skilled "surfers" who want to get increasingly more for their services including registration of online application forms on the website of the Polish embassy: if as recently as in May those who were willing to assist with registration of the application form online were ready to do it for €20 or €25, now the financial appetites of such "assistants" have clearly grown and sometimes reaches €500. "The price of registration of the application to the embassy for the Polish visas starts at 100 c.u. [dollars – translator's note]. When will this outrage end?! Why tdoesn't the tax inspector take on these "entrepreneurs"?! ", Martha, a Minsk dweller, wrote to TUT.BY recently. According to the reader, an overwhelming number of ad stickers began appearing on lamp posts and entrances to buildings. Although, literally a day later, when Martha went out to take photo snaps of these advertisements at TUT.BY's request, "somebody tore them off". This kind of dissatisfaction and questions come repeatedly already, but now people are more and more preoccupied by the price. In order to understand how much something costs, one can simply enter a query into Google or the search engine of Vkontakte where the number of traffickers is astounding. Now the embassy's web site says that there are no free dates for the Polish Schengen till 31 October. While at the same time somebody else has them. But who are they, these catchers of somebody's happiness and misery at the same time? "We will assist with procurement of any type of visa: we will tell you what type of Schengen visa is the most appropriate in your case, we will help you to prepare the set of documents required by the embassy, we will fill in the application form, we will put you in the queue in the consulate, we will explain the application process to you and advise you on what questions you may be asked at the embassy and how you should respond to them in a correct way". "Our visa guru's only preoccupation is to help nice folks to apply for and get single- and multiple-entry visas to the Eurozone. Our goal is extremely simple: "To help others as we help our moms and dads". "Assistance in procurement of Schengen visas (single- and multiple-entry). Minimum set of documents. Full support and assistance during the entire period of the visa application process. Assistance in registration of visa application forms at the Polish consulate". "I provide services of registration for national and Schengen visas in the Polish consulates in Hrodna, Brest and Minsk. I also advise on all matters regarding the visa procurement process". "Schengen visas from 150 Euro, Polish one-year visas from 250 Euro". "Single-entry (visas) 150 Euro, three-month (visas) 260 Euro, six-month (visas) 360 Euro, one-year (visas) 480 Euro. In some groups, i.e. in the social network Vkontakte, the cost of such services is not shown at all. It is understood that the details can be sent to the interested person by a private message. I left messages that I needed the one-year Polish Schengen in a dozen of such groups. In fact, only one person responded: "100 c.u. – registration at the web site and 20 c.u. an invitation from a store". However, many people are not afraid to give out their phone numbers. Having called the first number I found, I asked a young man (as I could deduct from his voice): "Are you a private person?" Yes, he says. Having called two other numbers, I heard similar answers that the responders were not individual entrepreneurs or travel agencies, "we just help". Mikhail Makhtaduj, head of the office of Internet oversight of the Ministry of Taxes and Duties, told TUT.BY that advertisements regarding assistance to people in procurement of visas and registration of application forms are published mostly online and not on lampposts. "As for analysis of such information, the tax authorities are keeping it under their constant control. We carry out evidentiary purchases, and if a violation is found – and most often it is unregistered business activity – we draw up a report which is then transferred to the court", he says. The court, when taking decision on such matters, takes into account disposition of a person to such activities. According to the expert, most often students are involved in such business activities, deciding to earn some money this way. However, it is important to understand that the tax authorities are only concerned with identification of such offenders who make revenue and do not pay any taxes from it. "We do not concern ourselves with hackers for sure", the expert says. However, the ministry is also unable to say how many offenders were identified specifically for not paying taxes from their entrepreneurial activities. They refer to the fact that there are many different activities online to be able to isolate attacks at the website of one of the embassies for separate statistics. "We monitor various freelancers, electronic cash payments, and operations in participatory construction. In any case, it is impossible to send an inspector to each and every offender", the representative of the tax ministry says. At the same time, they point out in the ministry, experience has shown that the attacks at embassies' web sites represent a small part in the total number of online offenses. It is notable that activities in providing assistance in visa procurement are not always illegal. If you do not count the travel agencies, services in this sphere can be provided by individual entrepreneurs. However, there is a problem with statistics here as well. As tax experts told TUT.BY, services in the visa sector are registered by tax authorities as "miscellaneous". And "miscellaneous" services may include hairdressing, auto repair and funeral services, etc. The tax authorities do not have separate statistics for visa services. "Today, for example, two individual entrepreneurs are registered as providing services in visa procurement in Minsk. But there students are queuing for you in a real queue. This is their services. Both entrepreneurs are in the Leninski district of Minsk", we were told by the agency. But they are unable to say how many such individual entrepreneurs there are in the entire country – again, because there is no special reporting for this. Altogether, according to experts, there are few such registered entrepreneurs. If a person knows that someone "trades" in such activities, "there is a hotline for these purposes, and any citizen can call it". As for services indicated in the statutes of such entrepreneurs, "they describe the list of their services in their internal documents. This list, as well as their pricing, is an internal matter of the company. The tax authorities are not concerned with it, their only preoccupation is that they pay taxes", we were also told in the ministry. Legal "hacking". Is it possible in Belarus? Authority of tax inspectors is limited, and we understand that they are hardly supposed to track hackers. Besides, "we have so many activities – there are individual entrepreneurs, there are business entities, there are people who are engaged in business activities without being registered. The tax authorities have so many fields of activity that it is impossible to embrace everything", the agency acknowledges. So, if a businessman is going, in addition to other services, to help someone register application forms at a web site, won't anybody ask him how he intends to do it? When we reported difficulties with registration in May, addressing the Ministry of Internal Affairs, the Foreign Ministry, the Investigation Committee and the embassy itself, we did not get a clear answer to the question about who was supposed to solve this issue. Pawel Marczuk, first counsellor at the embassy of Poland in Belarus told us then that notwithstanding the existing frenzy, Poland still had only three consulates in Belarus. At the same time, the number of applicants for visa grew by 44% in 2011 comparing to 2010. 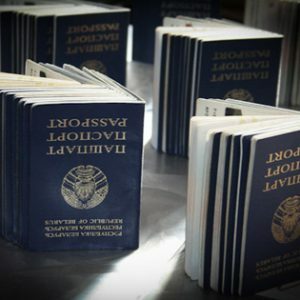 After introduction of separate "shopping" visas in summer of 2011 the number of those wanting to visit the neighbouring country grew even further. 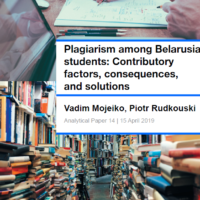 Altogether, during last year about 300,000 visas were issued to Belarusians, and the queues, Marczuk thinks, "could be shortened by increasing the consular staff because the only problem is the number of applicants". According to him, the large number of aspirants would always entail appearance of criminals or people who will speculate on it. "We understand that it may work against the Polish embassy, and we are aware that there is a possibility of trafficking in the queue positions during online registration. However, we cannot catch criminals in Belarus", he says. The Interior Ministry then told us that police had studied the issue of the online registration process of the Polish embassy but they did not find any corpus delicti. At the same time, if the embassy is aware of any facts of trafficking in the queue positions during the online registration, it should track what IP addresses it comes from. And the Investigation Committee, in their turn, told us that "first of all, police should get a complaint from the person who became victim of this kind of activities". So, the task of field services is to identify a specific crime substantiated by proof and then pass it to the Committee where they will decide whether criminal proceedings should be instigated. The mechanism is clear: nobody complains to police, and accordingly, the Investigation Committee does not receive any materials, and the embassy believes that it is outside of their competence to catch the offenders who hack the web site. But if the price is steadily increasing, it is logical to admit that someone gets good money from their "hacking". However, anyone would hardly complain to the hotline or police – everybody wants to get to Europe, especially for shopping. This text originally appeared in Russian on TUT.BY. 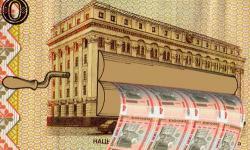 There are less than three months left until 2013, the year when Belarus will have to pay out $3.1bn of its external debt. Whether the government will manage to handle this challenge is still unclear. The Belarusian economy has not yet recovered from the last year’s economic crisis. This year’s GDP growth, mostly attained thanks to export of solvents, is slowing down due to Russia's accusations of this business' illegality. The Belarusian rouble continues to fall. Aware of the insignificant chances of covering the debt with Belarus' own assets, the authorities hope to refinance a considerable part of it. In any case, the Belarusian National Bank has Belarusians i.e. the everlasting source of assets, and a well-tested mechanism for the assets’ attraction i.e. devaluation of Belarusian rouble. For years, low external debt was a peculiarity of the Belarusian economy. Before 2007 it never made up more than $7bn or 27 per cent of the country’s GDP. People mainly ignored economists’ claims that the main reason for the success was cheap Russian energy resources. They continued to live in a dream of Belarusian economic wonder. In 2007 prices for gas imported from Russia increased two times and trouble started. As the realistic minority of experts had predicted, the country’s trade balance became negative. By 2008, external debt had almost doubled and continued to grow afterwards. The huge borrowed assets, however, appeared to be insufficient for stabilisation of the Belarusian economy: the National Bank resorted to its citizens’ funds. The Belarusian rouble devaluated by 20 per cent. Apparently, the government liked both means of solving economic difficulties. What is the point of holding economic reforms and waiting for their long-term dividends? Debts and devaluation work much more easily! Why attract foreign capital? After the 2011 economic crisis, Belarus experienced such government preferences in full: about $34bn of external debt and almost 200 per cent devaluation of the Belarusian rouble. The state stepped over the safe threshold of a 60 per cent ratio between external debt and GDP, as well as over its people’s trust. The bad side of external debt is already appearing in front of Belarusian decision-makers. They need payments. With interest. According to a recent statement from the Belarus Minister of Finance Andrei Harkovets, "next year Belarus enters into the period of culmination repayments of its e external debt". He added that the state is going to refinance half of the debt. Clearly, he did not add that this was because the government did not manage to use the loans properly. In 2013 the state will have to pay out $3.1bn. Harkovets hopes to get $0.9bn from the Anticrisis Fund of the Eurasian Economic Community and issue Eurobonds once again. In the current situation, both options are quite alarming. The first is loaded with more dependence on Russia, the second with a heavier debt burden. In June 2011 Belarus entered into a Loan Agreement with the Eurasian Development Bank, being the Anticrisis Fund’s managing institution. It is now counting on receipt of three resting loan’s instalments of $440m: one in 2012 and two in 2013. Their transfer is, however, subject to a set of preconditions. Inter alia, the Belarusian authorities have undertaken that in 2012 they will carry out privatisation of state property for up to $2.5bn. Up to now, they have not made any serious attempts to sell state assets. In the circumstances of noncompliance with its contractual obligations, Belarus hopes that the Anticrisis Fund will support its economy. Actually, that means Belarus counts on Russia. The big eastern neighbour’s share in the Anticrisis Fund’s capital is 75 per cent and it has the same amount of votes in the Fund’s Council. Whether Russia will provide support to Belarus just because it is Russia's loyal ally is no longer up for question. It will not. The only remaining question is how much of Belarus' independence will live through the consequences of such support. Eurobonds is an instrument which does not depend directly on third countries’ political will. But raising money through Eurobonds is very expensive. The yearly interest Belarus is to pay under Eurobonds is up to 9 per cent annually, while, e.g., the loans from the International Monetary Fund imply paying at the rate of only 2-4 per cent per year. Some bonds with lower interests Belarus will to place within its borders. In the near future, they will become available to Belarusian companies; by the end of the year to individuals. Their supposed interest rate is going to be about 6-7 per cent annually. So, Belarus will repay cheap International Monetary Fund’s loans with new ones, which are almost two times more expensive. Yet again: this money is not going to boost the Belarusian economy. It is just to cover earlier debts. They will say the people “have eaten this money”. But most Belarusians do not remember any luxury dishes on their tables. Stuck between the threats of falling into bigger debt and dependence on Russia, Belarus should feel nostalgic about International Monetary Fund’s loans. However, in March 2012 the World Bank’s institution refused to refinance Belarus’ debts. The main reason was lack of economic reforms in the country. Is the opinion biased? Probably not. A prudent creditor would never finance a debtor who makes no use of borrowed money. In fact, however, the government may still postpone deep worries about the money – it still has a 9.5m population. They cannot and will not say no to a new devaluation.